Thank you all for your diligent voting efforts of assisting me with naming this painting. I am pleased to announce the results of Round 1, which has narrowed our choices down to the Top 5 Finalists. Please take the time now to vote for your favorite one out of these five. Voting closes on Tuesday night at 9pm. At that time the winning entry will be selected and a Dunkin Donuts gift card winner will be announced! 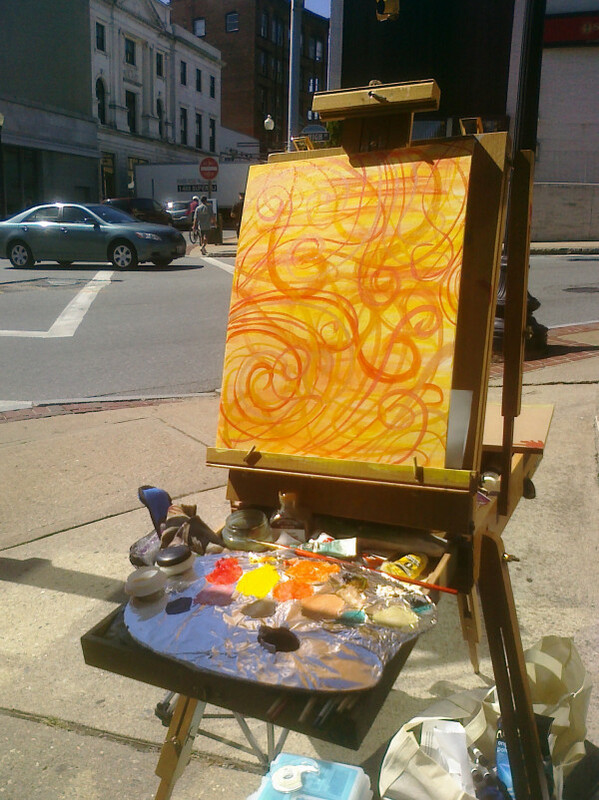 Painted at the Pawtucket Arts Fest Downtown. Oil on canvas panel. Please help us to narrow down the choices to our Top 5. Voting for Round 1 Finalists will be open until Saturday, September 17th at 9pm EST. Results will then be posted for a final round of voting to determine the winner. 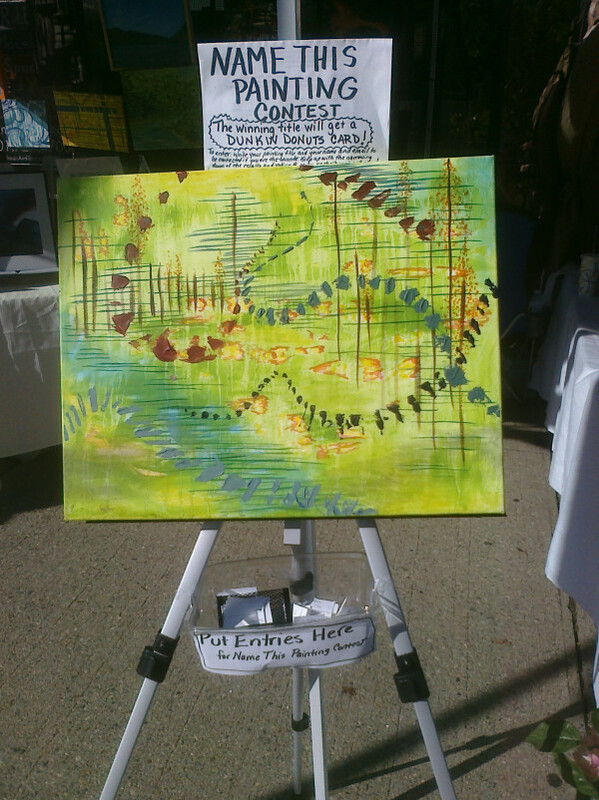 Keep up with updates here at rachelbraskart.com, or follow the contest on Twitter @rb_artworks, or follow updates via the Rachel Brask Artworks Facebook Page. Thank you in advance for your participation! That's a thumbnail of one of my paintings. 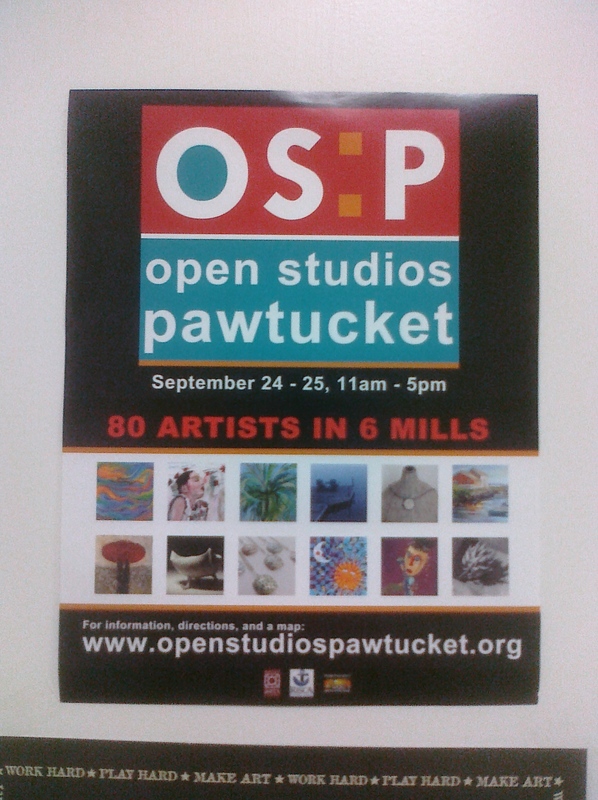 Happening on the weekend of September 24-25 from 11am-5pm each day is Open Studios : Pawtucket 2011. Look for flyers and signs in and around Pawtucket and elsewhere. On it you will also see a thumbnail of one of my paintings. If you’re planning on coming out that day, Rachel Brask Artworks will be located at the Lorraine Mill (560 Mineral Spring Ave., Pawtucket RI) for the Open Studios. 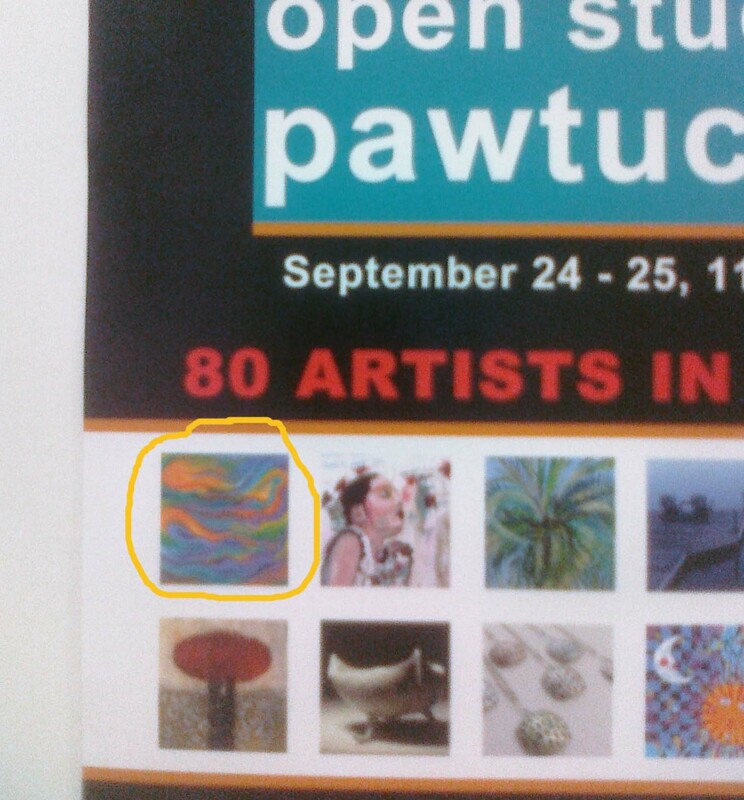 More detailed information about the event, including maps & locations of many artists, can be found at www.openstudiospawtucket.org Hope to see you there!